The Coffee Sprudgecast: US Bre..
Coffee dinners are not a new concept. We’ve covered quite a few of them on Sprudge over the years and they all have a similar underlying mode: a coffee company teams up with a chef or restaurant to bring the two worlds together. Sometimes this means pairing coffee with food, sometimes it means using coffee as a component of a dish, sometimes both. But generally, it is a person from the coffee world working with someone from the culinary world to find the middle ground. But a new dining experience is happening in Austin where the coffee person and the culinary person are one and the same. Created by former Fleet Coffee barista and ninth-place finisher at the 2018 US Barista Championship Brandon Acuña, Rover Concept is a “progressive American ultra-fine dining experience” and they are now taking reservations. Oh, and it’s a pop-up. Inspired by James Beard Award-winning chef Grant Achatz of Alinea in Chicago, Acuña tells Sprudge he wants to use Rover as “a way to show a new type of thinking,” one that “looks at every detail equally,” from the food to the spoons used during service to the light to the temperature of the room. The idea for Rover began to codify for Acuña while working at Fleet preparing his routine for the US Barista Championship. Working with Lorenzo Perkins and Patrick Pierce, Acuña wanted to do something different than the regular routine, to find the gray areas in the rules and do things that weren’t necessarily allowed but weren’t specifically disallowed. It was this same sort of thinking he wanted to apply to the culinary world. After placing ninth, Acuña was given the opportunity to work the front-of-house at Alinea for a few months before returning to Austin to begin his ambitious new project. As a dining experience without a permanent address, Rover is Acuña’s answer to the question “how can I take a Michelin-level concept to the consumer without an address?” Being held at a currently undisclosed location on Austin’s east side—an event space “a lot of people visit frequently” that Acuña doesn’t want to name because he “[doesn’t] want people to have a preconceived idea of what to expect”—a total of 10 dinners will take place between May 23rd and June 9th. Each dinner will feature a 10 to 14 course tasting menu, each with coffee playing a factor. For some courses, it’s about rethinking how coffee is served (Gesha snow, anyone?). In others, it could be playing off a word or phrase common in the coffee world, like the “Stone Fruit” course. Using the idea that a stone fruit is a drupe as is the coffee cherry, this course involves a white flesh peach poached in sous vide burnt heavy cream, served on top of a cultured version of that same heavy cream, with an Ethiopia YirgZ espresso thickened with a cold soluble form of gelatin and molded into the shape of a peach pit. Tickets for Rover Concept’s “Coffee” experience are available via their website for $150 and include wine and cocktail pairings. If all goes well with this first installment, Acuña says he would like to take Rover on the road and is currently eyeing 10 cities in the Midwest and on the coasts. 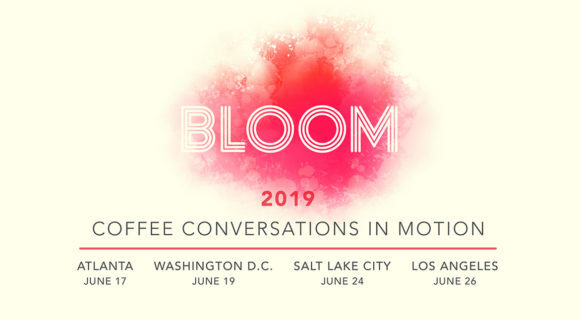 Currently, the first two dates have already sold out over a month in advance, so signs are looking good that this new coffee concept may be coming to a city near you. For more information, visit Rover Concept’s official website. All photos by Nicholas Friesen for Rover Concept.